CHARLOTTE, N.C.--(BUSINESS WIRE)--This spring, JELD-WEN hits the road to launch the first of three training programs for builders, remodelers, architects and dealers. Known as JELD-WEN UniversityTM, the program is casting a wide net to reach industry professionals at the right time, in the right place. To learn more about training opportunities for JELD-WEN partners, visit jeld-wen.com. To request interviews, high-res assets or additional social media resources, see contact below. 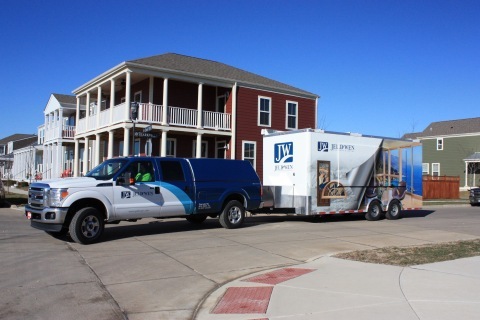 JELD-WEN hits the road to launch the first of three training programs for builders, remodelers, architects and dealers, known as JELD-WEN University(TM).